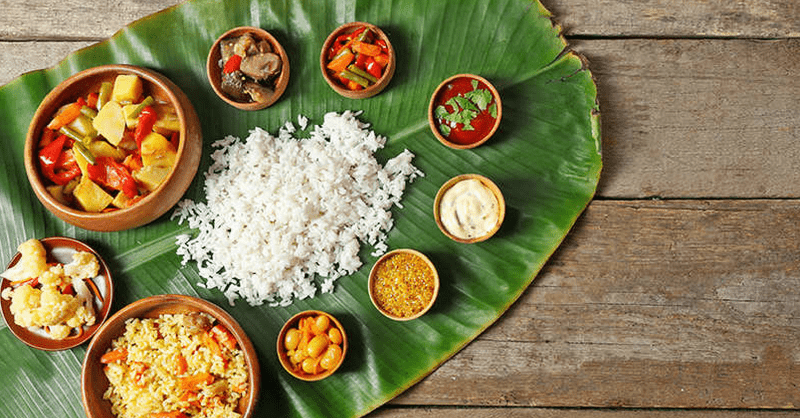 Ahimsa Trail – Inviting vegans and aspiring vegans to India! 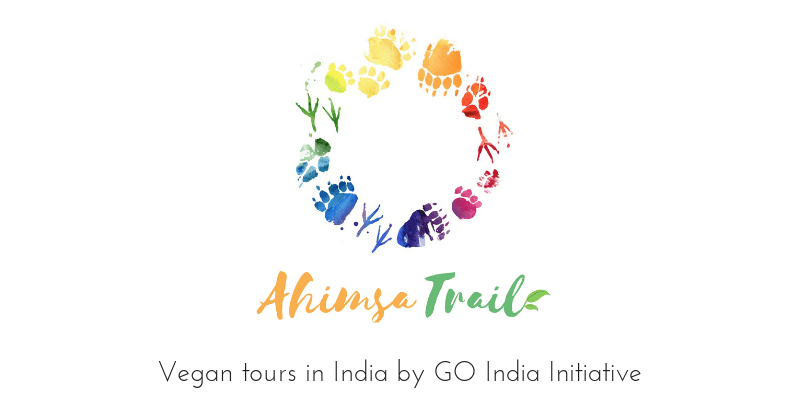 Go India Initiative - Blog - Ahimsa Trail – Inviting vegans and aspiring vegans to India! There are approximately 450 million Vegetarians in India, the vast majority of whom haven’t understood or heard of veganism. My country has 1.35 billion people with 73 million people living in extreme poverty. Yet, poverty in India continues to fall with approx. 44 Indians coming out of extreme poverty every minute! India also has the world’s youngest population with more than 50% of the population under the age of 25. 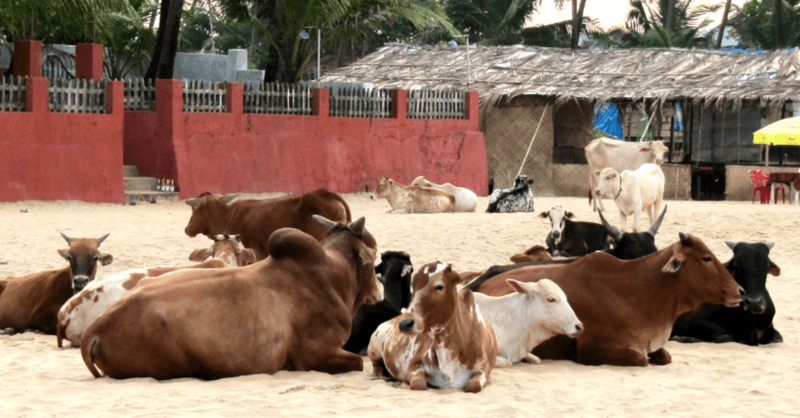 India’s economy is heavily dependent on milk and so plant-based milk (vegan milk) must be priced in line with animal milk (dairy) in order for consumers to even consider making the switch. In India Vegetarianism is well accepted and respected. During major Hindu festivals, even non-vegetarians or carnists will avoid eating meat for religious reasons. Buddhists and Jains are most sensitive about the life of all living beings and share the same values as vegans but many are not aware of how the dairy industry actually functions. There is tremendous scope to educate people in India on the concept of Veganism and for them to see just how powerful our non-violence movement is globally. We were taught the meaning of Ahimsa by Lord Buddha and in the most recent century by Mahatma Gandhi. It’s time to revive the concept of Ahimsa into a more evolved avatar, making it completely relevant to the present era and the future of our planet. Several studies have shown that animal farming and fishing are extremely hazardous for the environment – contributing significantly to air, water & soil pollution! I am an education entrepreneur and provide educational tours for foreign students and corporates in India through my project called the GO India Initiative. I am thrilled to announce that we have very recently launched ‘Ahimsa Trail’ which provides vegan tours in India for people from across the globe! With our years of experience in providing hospitality within the country, we are perfectly poised to offer our services to the global vegan community with a new focus and long-term vision. Through our efforts, we want to give our participants a chance to fall in love with India and develop an unbreakable bond with India, by giving them a life-changing and heart-warming experience. My personal objective is to provide a favourable ecosystem for vegan entrepreneurship in India to flourish further because we will definitely need more players in the market for accessible and well-priced vegan products and services as we simultaneously help our community grow. Ahimsa Trail is for vegans and aspiring vegans, who have an interest in Indian culture and cuisine and/or business opportunities in India. There will be plenty of opportunities for activism and educating people about veganism and all participants are encouraged to participate in those aspects that interest them (activism is completely voluntary). You can join us to enjoy a fun vegan holiday or alternatively can create impact in a country with so much potential for veganism through activism or scoping opportunities for vegan businesses. Ahimsa Trail’s first offering is Bespoke or customised vegan trails where participants can choose which cities they would like to visit and have an itinerary that is completely in line with their interests and budget. The second offering is Scheduled vegan trails which have fixed dates, cities and itineraries and are usually brief in duration, making it an affordable option. My role at Ahimsa Trail is designing specialised itineraries with the help of my team, involving the vegan community in India, and empowering and supporting our participants in their endeavours here in India. 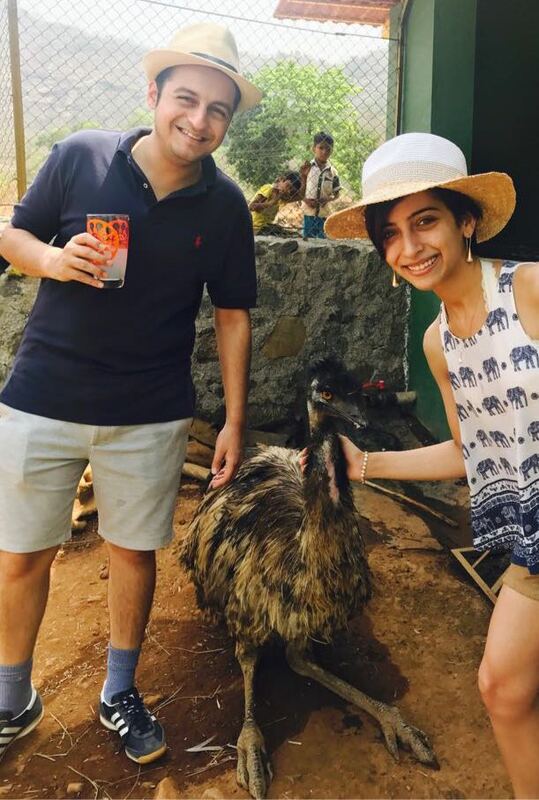 With an increase in vegan tourism in India, attention, and interest from the Indian public is bound to increase; and so every participant that we receive will help Ahimsa Trail achieve these goals, and of course, participants who would like to engage in activism would get us there quicker! I was born and raised in Mumbai (or Bombay as the oldest citizens still call it!). I studied at a leading college affiliated to the University of Mumbai and although I loved all my classmates, the fact that all 62 were from India limited my exposure to the international community. This is symptomatic of most of India’s higher education institutions who are not able to effectively internationalize their classrooms and campuses. A lot of Indian students could benefit from some amount of exposure to people from other countries and so I was inspired to launch the GO India Initiative to design India immersions for international students (in addition to providing exposure to the visiting students of course!). Like any other Sindhi family, mine ate meat. My mother tells me that I was a quick learner as an infant, especially when learning had anything to do with animals! My favorite toys were miniature animals and very soon after I learned to speak, I learned the names of different species of the animal kingdom. I would go to the extent of correcting my mother if she called my cheetah a leopard. My favorite TV channel was Animal Planet (almost a tie with Cartoon Network) and my favorite way to pass time was feeding and playing with the stray dogs outside our building compound (doing that got me grounded several times!). At the age of 5, I remember feeling hurt and guilty when I found a chicken bone on my plate and realized I had eaten an actual animal. I was told that the animal was already dead and that it did not die for me. After coming to terms with the harsh reality at the age of 10, I turned vegetarian and a month later fell ill (viral fever, nothing out of the ordinary) and my doctor scolded me saying that I should continue eating meat for my immunity and physical growth (something I was very conscious of). Surely, looking back now, nothing he said made any sense considering I was the shortest in my class even when I used to eat meat and I’ve grown to be a towering 5’2’’ despite eating meat in my youth. So sadly, I started eating seafood and eggs again since I assumed that would cover the protein that I lacked (apparently). As an adult, I became a vegetarian again. I got introduced to the concept of veganism only in my early 20s and made the switch a few years later after speaking with a relative who had turned vegan while studying in London and came back to Mumbai to start a brand called ‘An Ode to Gaia’, selling vegan desserts. She makes the most divine Oreo cheesecake! Better than any cheesecake I’ve had in my non-vegan life…. It has been under a year since I’ve turned and I feel so much healthier with my new zest for life and passion for helping the voiceless. On my journey thus far, I’ve created impact within my family and friend circles and I am very keen on educating more and more people about their food choices and lifestyle as well as providing accessible options for them to execute what they have learned. Ahimsa Trail is definitely the perfect avenue for me to focus my talent and experience to enable others, who are keen on making a difference, achieve their goals using their unique ideas, skills and experience. India’s Vegan Champion – Captain Virat Kohli! India: One Country with Many Worlds. India: A Journey of Rediscovering Oneself! 1116, B Wing, Dalamal Towers, Nariman Point, Mumbai, India.